The Unexpected Enlightenment of Rachel Griffin. The Prospero's Daughter Series: Includes secrets about the Family Prospero previously known only to the Orbis Suleimani. 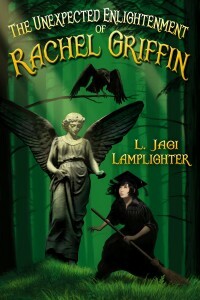 More information about L. Jagi Lamplighter: including Prospero Lost, A Writer's Odyssey and All About The Wonder: Why I Write Fantasy available under About. A blog is available under Journal. Also found here: Wright's Writing Corner, a weekly post on the techniques and lives of writers. Wright's Writing Corner appears on Wednesdays. To read older posts, see the link to the upper right.